Attention AS and A2 students! You could do worse than visiting the iZotope Pro Audio Essentials ear training site to help prepare for your upcoming exams! The Chemical Brothers are on of the most influential dance acts of all time, and hit their commercial peak in the late 90s – early 2000s. (They are still releasing great records, this year’s ‘Born in the Echoes’ got to no. 1!) This is one of Mr Dunne’s favourites, from their 1999 album ‘Surrender’. Most Chemical Brothers tracks include heavy use of synths, creative sample processing and well conceived vocal parts, often from a featured artist. AS Music Tech Exam Complete! 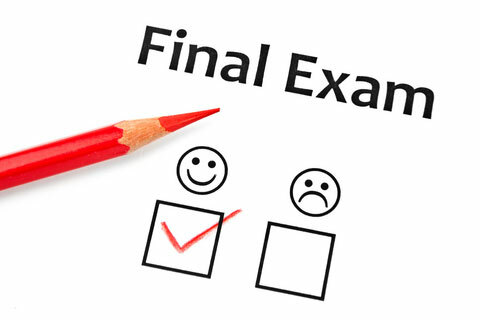 Well done to the AS students for completing their examination, (looked like a reasonable paper to me!) and good luck in your remaining exams. AS and A2 students will want to take a look at this, as questions on pickups regularly feature in exams! Pulp were formed in the late 70s, but only really came to prominence in the 90s, with their blend of socially aware commentary and catchy tunes. Jarvis Cocker and the band created sometimes lavish longs focusing on the minutiae of everyday life, and rode the wave of Britpop success for a few years. They were also adept at blending an eclectic mix of styles, the swagger of glam rock, disco beats, synthesisers, indie thrash guitars or folk style violins and acoustic guitar. Cocker’s iconic vunerable vocal style (with occasional breathy spoken or falsetto moments) helped the band to stand out. The now venerable northern rockers made a huge impact with their debut album. Aggressive moods, difficult topics and total confidence (sometimes verging into outright arrogance at times, see Alex Turners 2014 Brit speech). Their signature stripped back indie style includes loud guitars, often riff based songs (especially more recent ones) Turner’s unapologetic Sheffield-tinged drawling delivery, ‘detail rich’ semi-poetic lyrics full of wit, and a relatively lo-fi sound, especially on their earlier albums. Dusty Springfield was an English singer who rose to fame with her own style of ‘blue-eyed soul’ – a more ‘strident yet vunerable’ style of singing. She instructed her session musicians to play in the style of her American contemporaries, and often recorded her vocals in unusual locations within recording studios to get the sound she wanted. Many critics mistakenly thought that she was African-American, due to the authentic sounding soul production and quality of her voice. Stevie Wonder has crossed a lot of genres, so students should be careful about which songs they use as examples of soul. Famous for his creative syncopated keyboard lines, inventive jazz influenced harmonic sequences, use of the Hohner Clavinet and smooth soul vocals. The special focus styles page has been updated with the Edexcel approved research and listening lists for the 2014 exam. Please ensure you listen to all these artists and make notes on key features of their songs.